Las Vegas, Nevada – Credit Management Association® (CMA), who provides extensive services to companies and corporations that sell goods and services through credit transactions, has formed a strategic partnership with NCS, the leading provider of notice, mechanic’s lien, UCC and secured collection services in the U.S. and Canada. This partnership will allow CMA to offer NCS’ breadth of service to CMA members, while providing additional benefits such as access to a variety of educational opportunities and industry leading resources. This partnership became effective September 4, 2018. 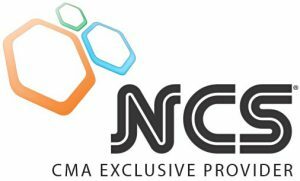 CMA, serving industries primarily located in the western U.S., with offices in Las Vegas, NV and Glendale CA.. NCS, serving industries throughout the U.S and internationally, is headquartered in Cleveland, OH. ­Credit Management Association® (CMA), is a non-profit association that has served business-to-business companies since 1883. CMA delivers a variety of services to large and small companies across the full spectrum of the business credit economy. In addition, CMA assists insolvent companies with workouts or liquidation through cost-effective alternatives to bankruptcy. For more information about CMA, call 800-541-2622, or visit www.creditmanagementassociation.org.